If you donate €250 or more in one calendar year, ChildFund can claim tax back on your gift, whether you are a PAYE worker or self-assessed. For example, a typical sponsor’s contribution of €264 could be increased to €382.60. The CHY3 Certificate is an Enduring Cert and allows ChildFund claim back tax on any donation made by a sponsor for the next five years. The CHY4 Certificate which is an Annual cert completed by a sponsor allowing ChildFund claim back tax on their donation for the previous year. We need your help to make this happen! Please complete the cert to release these additional funds and help your generous donation make an even bigger difference in the lives of vulnerable children. 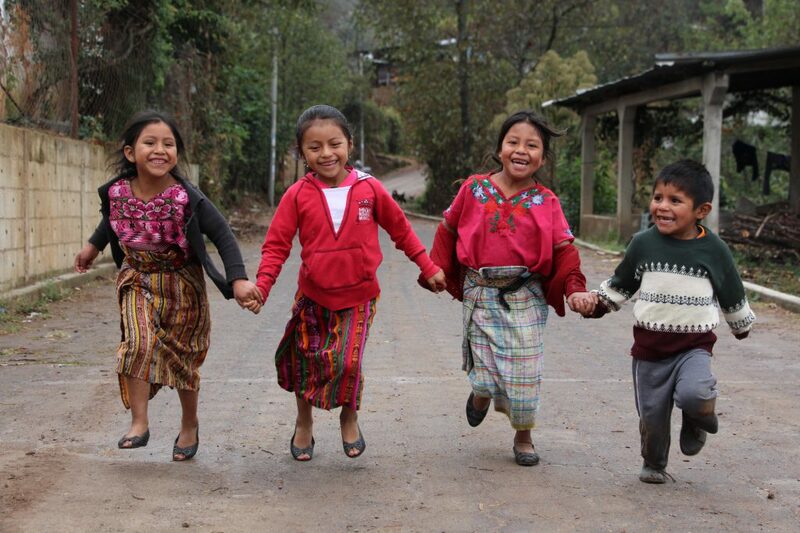 Just imagine how much more good we could do if every ChildFund Ireland supporter did this. If we do not receive a tax rebate form from you, the money remains with the Revenue Commissioner. If you are unable to print these forms or need any help please contact Deirdre Regan at our office on 01-6762128. Can I claim back the tax myself on donations I make to a charity ? It is only the charity who can claim back the tax on donations made by individuals if they have paid tax in the year of the claim. An individual cannot subsequently have any part of that tax repaid to them, it is only the Charity. For example, Joan makes a donation of €264.00 to ChildFund in the tax year 2018. Under the tax relief scheme ChildFund is deemed to have received a donation of €382.60 (i.e. €264.00 grossed up at 31%) less tax deducted of €118.60. On the assumption that Joan has paid income tax for 2018 of at least €118.60, ChildFund can obtain a refund of that amount from Revenue after the end of the tax year 2018. The amount repaid to a charity in any tax year cannot exceed the amount of tax paid by the donor for that year. For example, if Joan’s income tax liability for 2018 is €100 (which she has paid), the repayment to ChildFund is restricted to that amount. What if I do not pay tax but my spouse/partner does can we submit a Tax rebate certificate ? If the donation comes from a joint account and either one pay tax these details can be inserted in to tax rebate certificate to allow the charity claim back the tax. If you receive the state pension only, then you probably do not pay income tax. However, if you have other income in addition to the state pension, ChildFund may be able to claim on this amount. When should I complete a CHY3 Enduring Certificate? You should complete a CHY3 Enduring Certificate if you wish to allow ChildFund Ireland to claim tax relief in respect of donations you make to them during the lifetime of the certificate. 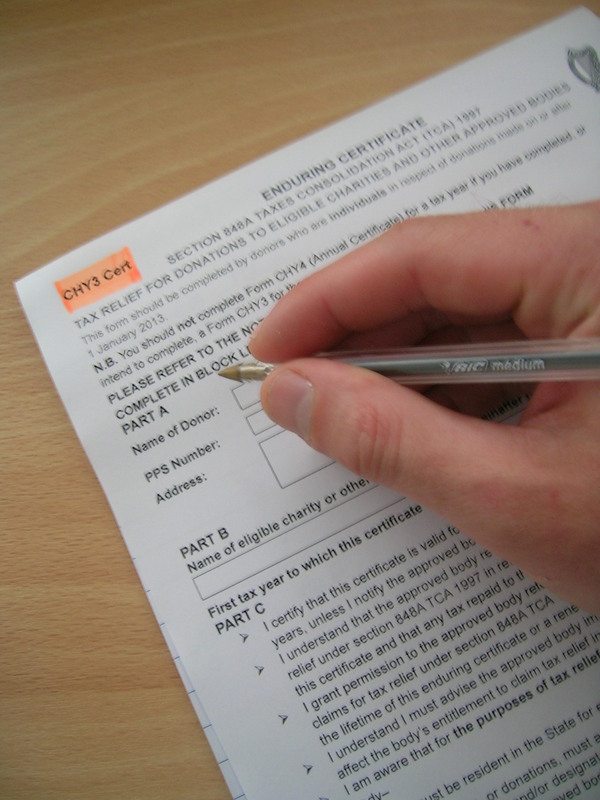 An Enduring Certificate is valid for a period of 5 years unless you cancel it before the end of that period. Can I renew an Enduring Certificate? Yes. ChildFund may contact you by phone, post, email or text in this regard. Alternatively, you can advise ChildFund to renew the certificate each year. What if I do not want to complete an a Tax rebate certificate e? There is no obligation on you to complete any Tax rebate certificate in respect of your donations. You can complete an Annual Certificate, CHY4, if you prefer to provide a certificate to ChildFund on an annual basis rather than an enduring Certificate. Yes at any time you can tell ChildFund you no longer wish to participate in the Tax back scheme, but you must notify ChildFund Ireland of its cancellation. What happens if my circumstances change during the lifetime of an Enduring Certificate? You must advise ChildFund immediately of any change in your circumstances that would affect their entitlement to claim tax relief in respect of your donations. Are there limits for tax relief purposes on the amount I can donate in any tax year? Yes, there are some limits in place for tax relief purposes. The donations must be no less than €250 and cannot exceed €1,000,000 annually. N.B. These limits apply solely for the purposes of tax relief on your donations – they do not impose any restrictions on the amount you can donate to ChildFund Ireland. For the purposes of the scheme of tax relief for donations under section 848A of, and Schedule 26A to, the TCA 1997, an ‘approved body’ is any charity which is authorised in writing by the Revenue Commissioner. See www.revenue.ie for further details. What is a PPS Number? Your Personal Public Service (PPS) number is a unique reference number that helps you to gain access to benefits and information from public service agencies in Ireland. You can find your PPS numbers on: all correspondence from Revenue; Social Services Card; Pay Slip, P60 and P45. Are my PPS Number and all other information I give treated as confidential? The information given to ChildFund Ireland will be treated in the strictest confidence and will be used only to claim tax back for the period specified on the Tax relief form. It is not shared with any third party or used for anything other than the stated purpose.